Age 92, passed away March 30, 2019. He was born November 3, 1926, in Lansing. 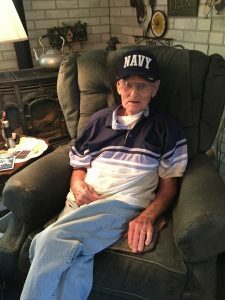 Bob proudly served his country in the U.S. Navy during WWII. He worked at Motor Wheel Corp. for 38 years, and served as a union steward and a committee man. Bob was an honorable and hardworking man, and a loving and devoted husband and father. 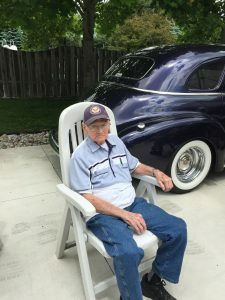 He loved spending time with his grandchildren, doting on his great-grandchildren, doing yard work, crossword puzzles, reading westerns and woodworking. 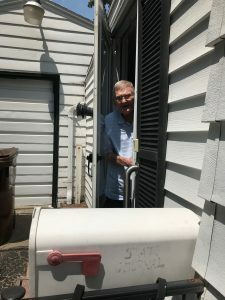 Surviving are: his wife of 69 years, Mary; children, Gail Harry and Bryan (Helen) Farr; 5 grandchildren, Christopher Harry, Matthew (Dana) Farr, Sean Farr and Justin (Chelsea) Farr; grandson-in-law, Christopher Houghten; 6 great-grandchildren, Kaleb, Jakob, Addison, Delaney, Eleanor and Natalie Farr; as well as many other beloved extended family and friends. He was preceded in death by his parents; 3 siblings; his son, Michael Farr; granddaughter, Rebecca Houghten; and son-in-law, Robert Harry. A memorial service will be held at 11:00 a.m. Friday, April 5, 2019, at Holt Church of the Nazarene, 4851 Holt Rd. His family will receive friends at the church, one hour prior to the memorial service. Uncle Bob was a good, descent man who lived his family more than anything. He was married to my wonderful aunt Mary for sixty nine years and always worked hard to provide a home for his family. I will truly miss this remarkable man. Uncle Bob you will surely be missed how I loved going to uncle Bob and aunt Mary’s house on the weekends he was a great man.